How was Newt not a lobbyist? Let Stephen Colbert explain. Lobbyist? Well, he isn't registered. 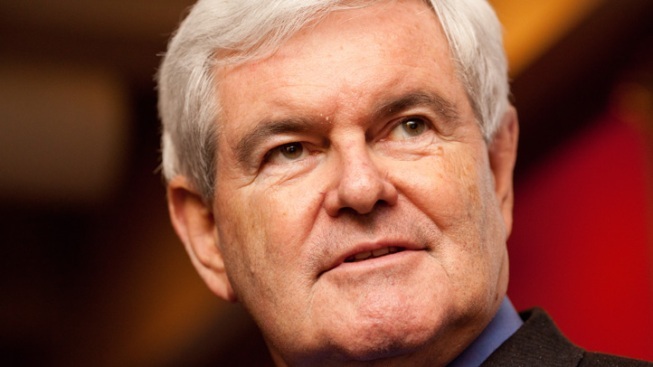 Does Newt Gingrich's response to accusations he worked as a lobbyist hold water? Sure, said Stephen Colbert's mock-conservative alter ego, and he had some compelling reasons why. On "The Colbert Report" Wednesday night, Colbert quoted from a New York Times article in which aides to the former House Speaker noted that Gingrich was "not a registered lobbyist." After he left Congress, Gingrich was reportedly paid $1.6 million in consulting fees by Freddie Mac — fees many say he was paid for lobbying. "He is not registered, ergo, he is not a lobbyist," Colbert agreed. "[It's] the same reason that I have not registered my Audi A8 — so legally it is not a car. Which is why I can drive it on the sidewalk." Colbert also invoked Gingrich's recent debate mention of Rep. Barney Frank, the long-time liberal Congressman from Massachusetts who announced this week that he is retiring at the end of his term. "If you want to put people in jail, you ought to start with Barney Frank," Gingrich had said In one of the GOP presidential debates. "Go back and look at the lobbyists he was close to at Freddie Mac." Colbert vehemently agreed — with a wink, of course. "Yeah, string him up! Barney Frank was close to lobbyists at Freddie Mac, and Gingrich should know, because those same lobbyists gave Newt $1.6 million," Colbert said. "But that does not mean Newt was close to them. I'm sure he waited until they left before he picked up the brown paper bag of money." As for Gingrich's chances of winning the Republican nomination for president? Romney better get cracking, Colbert said. "Mitt Romney has very little time to executive his proven strategy of saying and doing nothing while the guy ahead of him in the polls destroys himself in some spectacular and unforeseen manner — like gay marrying a burning American flag," he warned.